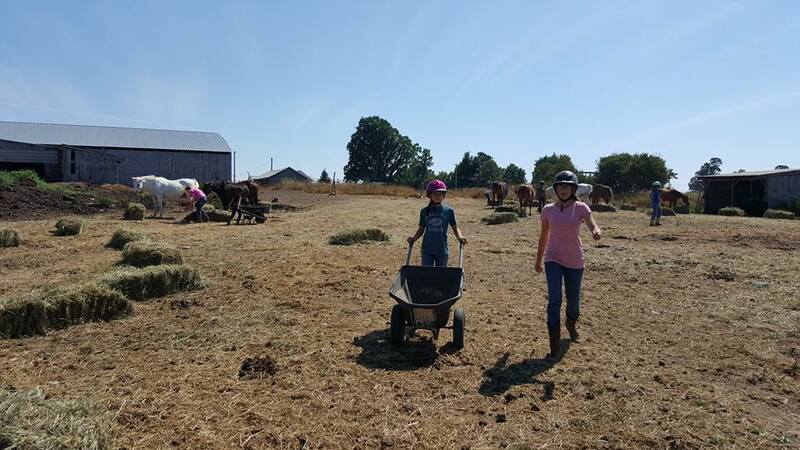 What an amazing way for your daughter, niece, granddaughter and/or friend to spend part of the summer! We are all about family and making your young lady feel welcome, comfortable, and safe. We have a camper to counselor ratio of 3:1 and with only 10 campers per week. Friendships develop at camp that last a lifetime! 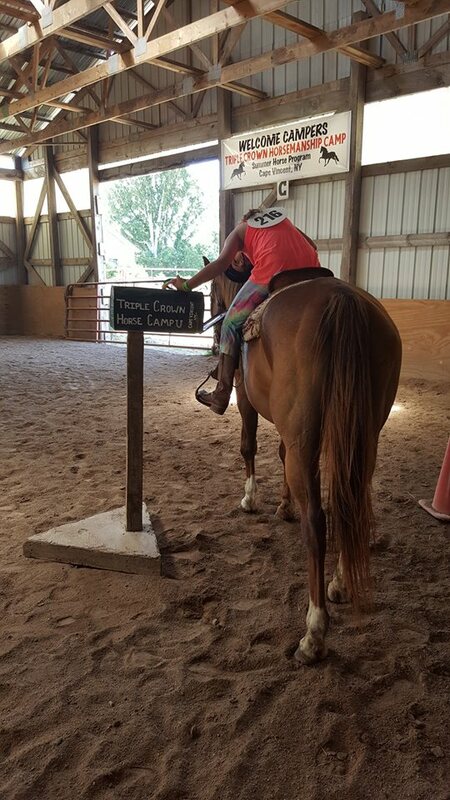 Triple Crown Horsemanship Camp is a family run residential horse camp located on the owner’s premise. 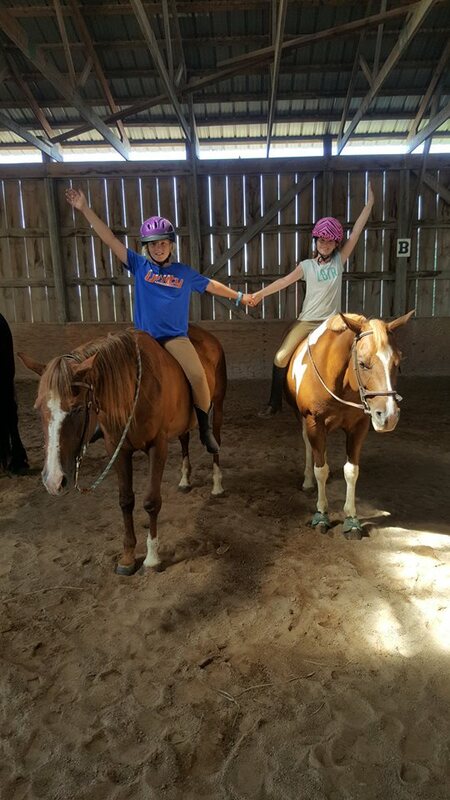 The camp was founded in 1998 and has provided a wonderful experience to many young ladies throughout the years. 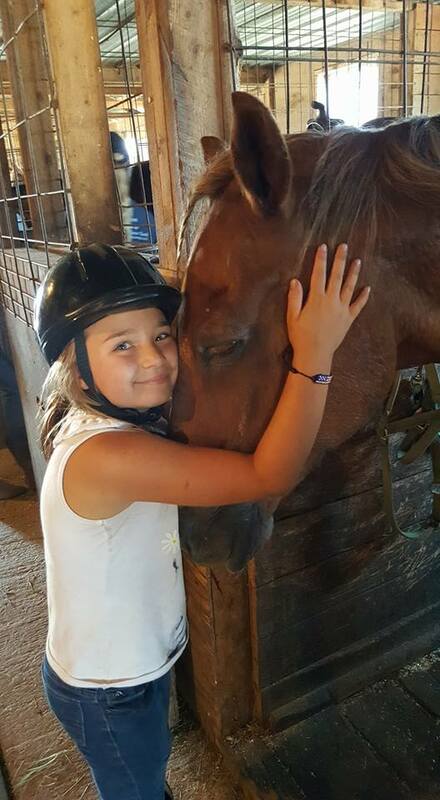 We are looking forward to an exciting 2019 season with girls ages 8 -16 who share a passion for horses and desire to learn! Please know that young gentlemen are welcome to attend Day Camp. We look forward to talking to you about what camp will provide for your young lady! It will be a summer to remember! I liked everything about Triple Crown. I don't think anything could be better at this camp. I would want to come next year because I'll meet new friends. My favorite game was Cat and Mouse. I especially like riding so much and going to the beach everyday. I would like to come back next year because it is so much fun and it keeps me busy. My favorite game was quick draw and my favorite craft was the picture frame. I liked riding, going swimming and doing fun activities. I would like to come back because I love to ride here and I always meet new friends. My favorite game was the race track game and my favorite game in the ring is musical cones. My favorite craft was the picture frame. I like how it felt like we had our own horses. I would definitely like to come back next year because it was so much fun. My favorite games were Cat and Mouse and Musical Cones. I want to come back because this is always a main part of my summer. I liked riding and just playing all the games we played. I would love to come back because I love the horses here. I loved all of the games and crafts. I loved how you let us have fun, but at the same time we were doing active things. Also, I loved how the more advanced people got to work at their level. I would love to come back next year, also I always have so much fun, but at the same time I learn a lot. My favorite game was horse breeds. 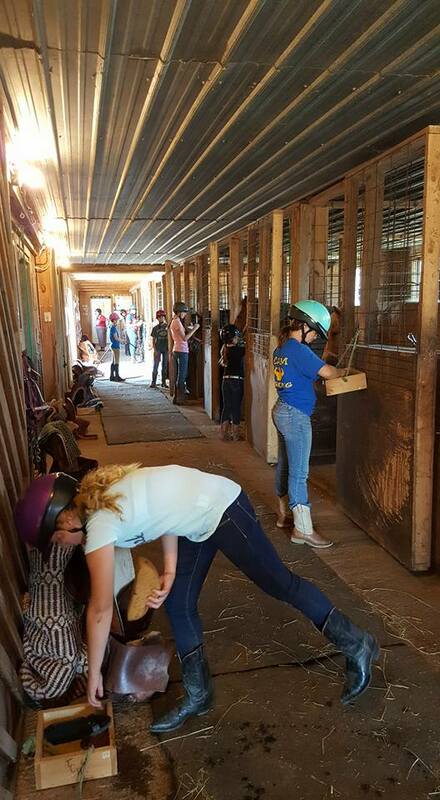 I loved grooming the horses and my favorite game was Today at the Racetrack. I would like to come back next year because it is fun to leave your family for a short while to make new friends and then go back home. 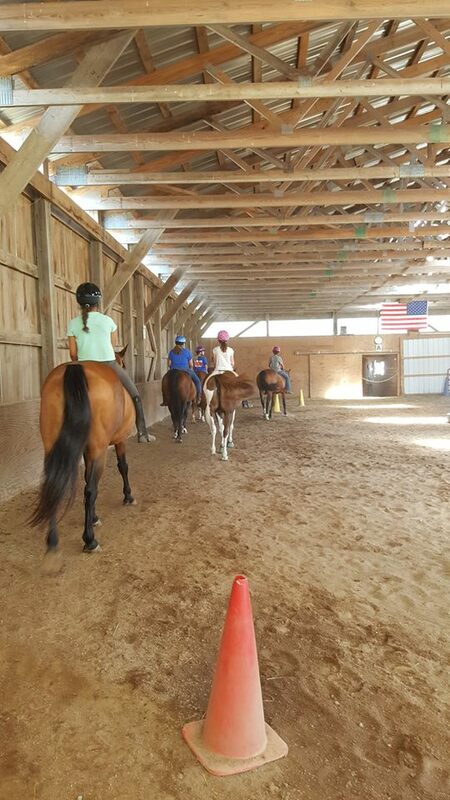 The primary goal of Triple Crown Horsemanship Camp Riding Lesson Program is to provide your child with a positive, safe horseback riding experience. 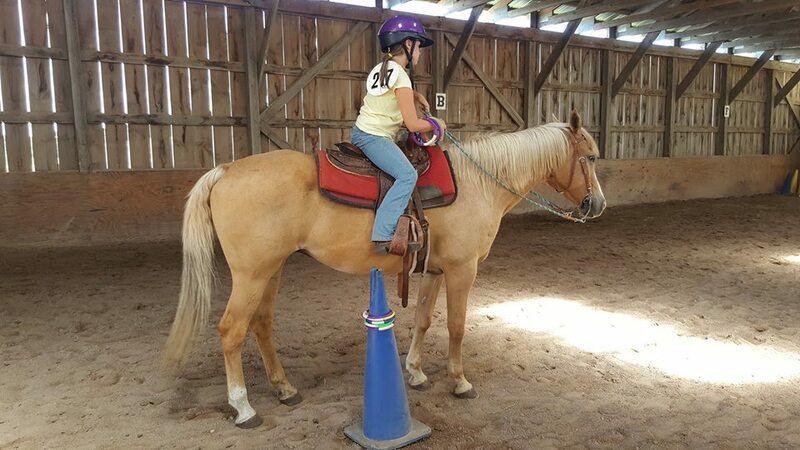 Your beginning rider will not only learn how to ride a horse..